I am out of the blue...now. 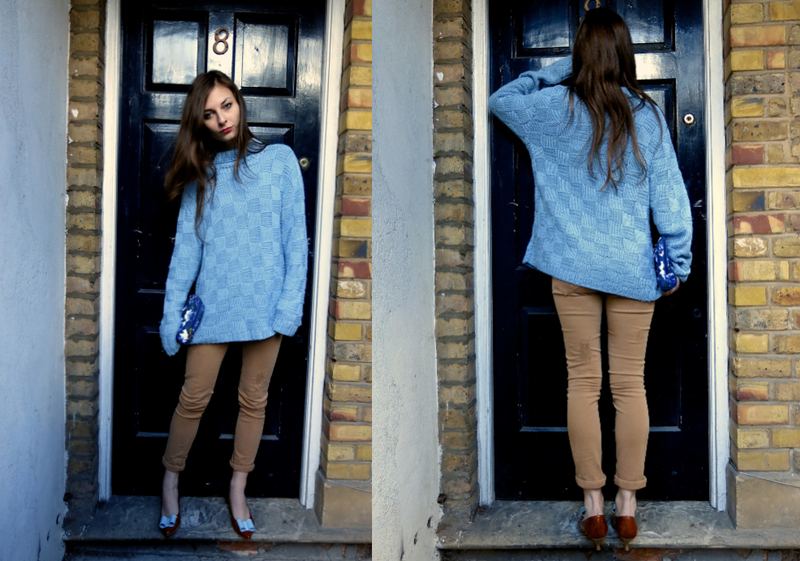 This blue sweater is eye-catching. Where did you get these hand-made gems?